TMSM's Adventures In Florida Living ~ "Fall" Is Here! TMSM’s Adventures in Florida Living ~ “Fall” is Here! Happy Wednesday Main Streeters! It’s time for our weekly chat, so lets get right to it! I believe “Fall” has finally arrived here in the Orlando area. I know for everyone else its been Fall for awhile now, but we were still having ridiculously humid and hot temperatures up until a few days ago. It’s in the 70’s right now as I type this, I have the window open, and it feels awesome. I love this weather, it’s perfect. The only down side of having the windows open, is that Jack barks at EVERY little noise he hears from outside. I mean, EVERY noise. It’s worth the fresh air though. While scrolling Facebook, I see my friends and family back home in Michigan wearing jackets and jeans. We aren’t quite there yet, but I’ll take the break from the humidity. I wish we could go back to Mickey’s Not So Scary Halloween Party now, because the weather is perfect for it. I don’t think time will allow that though, because we are working a convention this weekend, Spooky Empire. Usually we just cover Spooky Empire for the site with media badges, but this year we have our own booth. It’s going to be a LONG weekend, lots of work hours, but I’m looking forward to it. We will have TMSM swag PLUS adorable items for sale from our clothing site, Lost Princess Apparel! We even got a cool new banner for our booth! You can get details for the Spooky Empire convention on their Facebook page or at www.spookyempire.com! On the Disney front…. 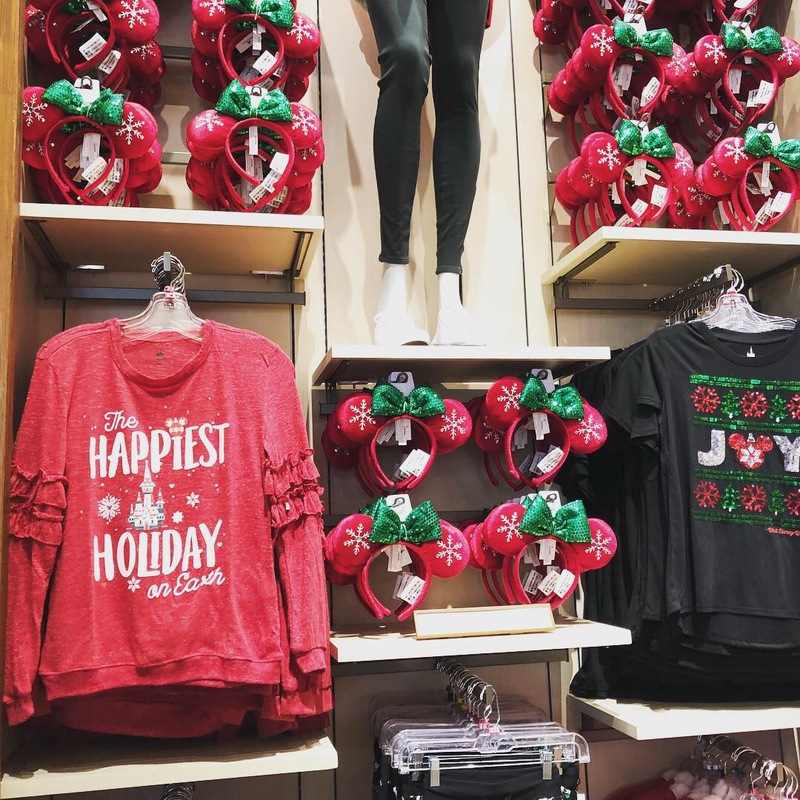 last Thursday I covered a media event over at the newly revamped World of Disney store at Disney Springs. The store has been closed in spots, different sections at a time, but now you can walk through the entire thing. Oh, and we got to browse the Christmas merchandise. YES Christmas! There is so much to choose from this year! Christmas goodies for the home, clothing for the whole family, plus ornaments and such for your tree. I absolutely love it all. While walking around the World of Disney, I had to remind myself of how lucky I am to get to attend these media functions. We have worked so hard, and I never thought we’d ever get to work with Disney the way we do. It’s certainly something I don’t take for granted. The actual grand opening and ribbon cutting ceremony for the World of Disney is this Saturday, but I can’t go as I’ll be working the convention. The new area is pretty though! I took some video of the new store, I’ll post links below so you can browse too!